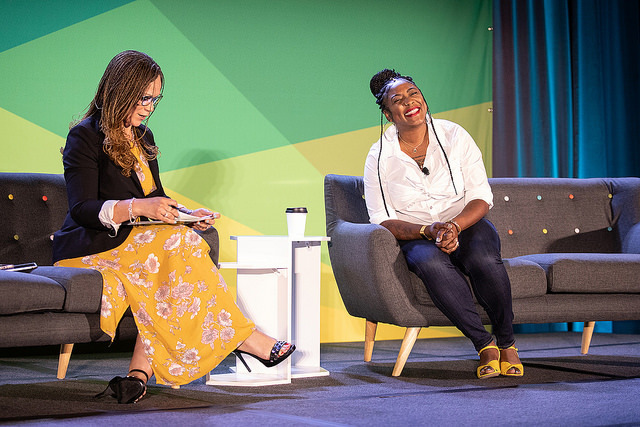 “We know that justice is rising because of all the young people in this room,” said Olga Talamante, surveying the sea of young faces (along with some older ones) as she kicked off The Greenlining Institute’s 25th anniversary Economic Summit, held May 24, 2018 in Oakland. 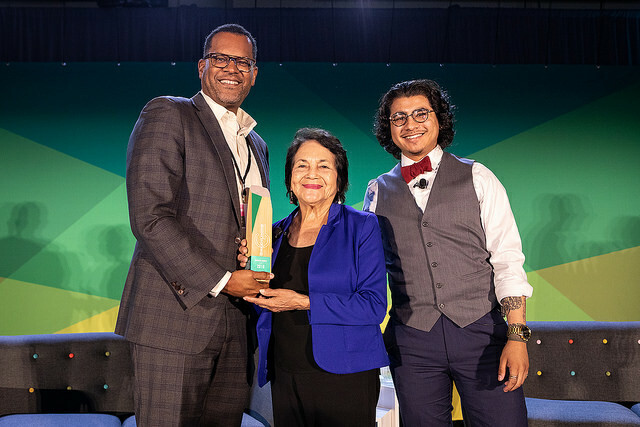 Talamante, a longtime Greenlining board member and executive director emerita of the Chicana Latina Foundation, acted as the day’s host and emcee, providing regular doses of insight, humility and humor during our biggest Economic Summit ever. A rousing start to the day from Young Gifted and Black at #Greenlining25. A series of breakout sessions tackled specific issues, taking deep dives into climate resilience for the most impacted communities, California’s health workforce, rethinking diversity and inclusion to focus on justice, the future of the financial industry, and developing the next generation of young leaders. At each year’s Summit, we honor a few special advocates who’ve shown extraordinary leadership. The program got a rousing kick-off from state Sen. Kevin de León, who went out of his way when he was offstage to stop and have a dialogue with the service staff backstage at the Marriott. Then, the Torchbearer Award, given to a graduate of Greenlining’s Leadership Academy, went to our very own Stephanie Chen, who leads Greenlining’s Energy Equity team. 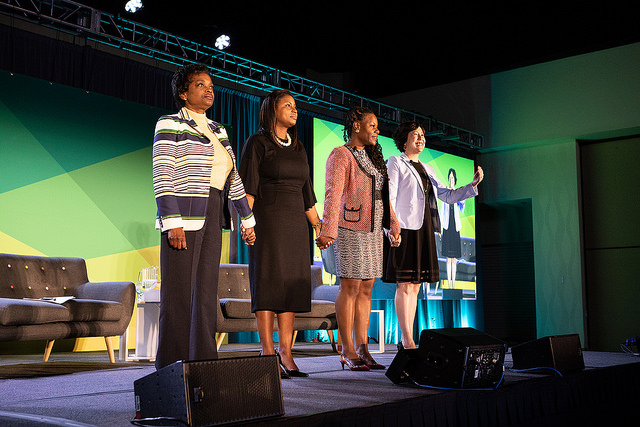 Disruptive Advocate Awards – presented to those who shake things up with vision and courage – went to SCOPE President and CEO Gloria Walton and former FCC Commissioner Mignon Clyburn. As always, some of the liveliest interactions happened at the Idea Lab, set up to give all in attendance a chance to speak out. After rousing presentations by Jung Woo Kim of the Korean Resource Center, Ramla Sahid of the Partnership for the Advancement of New Americans and Steven Renderous from the Center for Media Justice, as well as moderator Lateefah Simon of the Akonadi Foundation, the audience met in small groups to brainstorm how California can move equity forward in a challenging era. “We have to listen more,” Kim said, voicing a thought that all movements should take to heart. Help us continue this work. 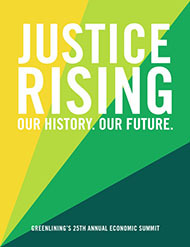 Support Greenlining today.